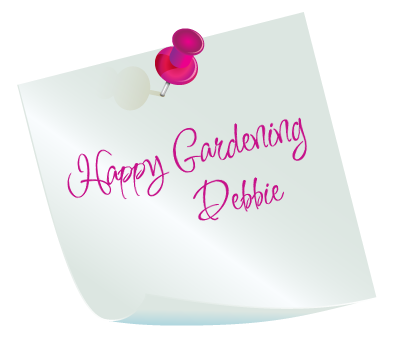 My name is Debbie Cooke and I’m a garden designer, adviser, gardener, lover of nature and all things beautiful….. I love the beauty of nature. I love recycling and the imagination and innovation of others when applied to recycling. And I’ve always had a passion for creating things. None of this is surprising, when you consider my ancestry is rooted in Fashion Design, Garden Design, Art and Horticulture. I find the concept of recycling, creating something from rubbish, irresistible. At the age of 10, I recycled one of my Mums’ old skirts to make one for myself; I’ve made jackets out of jeans and cut down a horse blanket to fit a Shetland pony. I have also re-trimmed the interiors of a mini and a v-dub camper van and designed and made my own, medieval inspired, wedding dress. I’ve always loved the big outdoors. When I was young I climbed trees with my brothers, sifted soil through a plastic colander to make mud pies and gardened with my dad. I didn’t take up gardening as a hobby until my early twenties and then not professionally until I had twenty years experience under my belt. Initially I maintained gardens for friends, then word spread and I was asked to “Work my Magic!” for others. I gained a huge amount of horticultural knowledge whilst working for a large demonstration garden, open to the public. When I became unable to garden full time, due to a hand injury, I followed the logical path and qualified as a Garden Designer in 2007. Now I get to combine my love of art, design, and gardening! I used my passion for recycling to design various environmentally friendly show gardens. I also enjoy writing and am now a now a regular contributor to the No. 1 best selling grow your own magazine the Kitchen Garden Magazine, both in the magazine and on their blog. 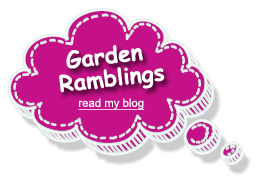 I hope you enjoy my website and that my passion and enthusiasm for gardens is apparent. Why wait, get in touch today and learn to love your garden.